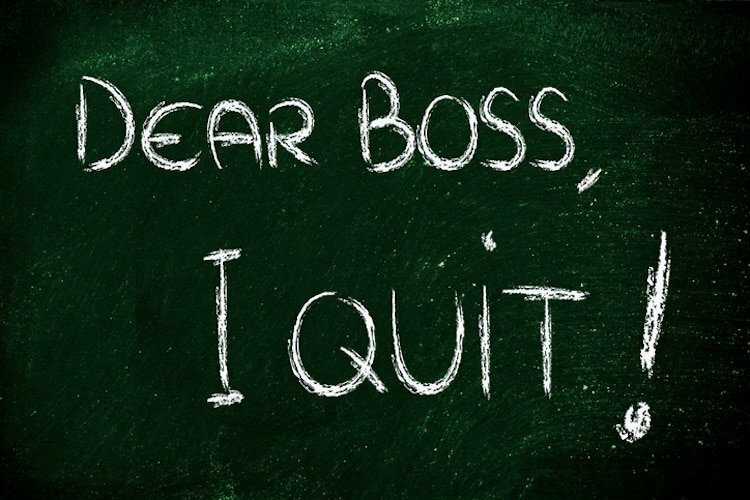 Yesterday’s Wall Street Journal presented More Workers Start to Quit. Workers voluntarily quit and reject the feeling that they are lucky to have a job. This is the boomerang effect of companies cutting payroll costs to the bone, redistributing work to the smaller remaining staff, and leaving an environment where workers feel “lucky to even have a job”. This leaves little left for motivation and the result of these talent management strategies? Short-term profits and tactical reactions over long-term strategy and managing your most important asset: human capital. This is a negative by-product of managing a company for Wall Street and quarterly results over long-term growth and health an ROI versus and ROT (return on talent). These statistics support my view: As companies start to see increases in income it's time to invest in improving their culture. Igniting passion for common goals; involving people in meaningful ways; and finding ways to re-inspire people to do the changes necessary. These articles also point to the importance of showing your employees you care, and that you regret the hardships they've gone through. Authentic empathy can help ease a lot of resentment and challenges. Do companies know how to invest in culture or what a “culture” investment is? What are some of your most painful “culture” discussions? Where the company just does not get the impact of motivation? This is a good question, Toby. Although I'm going to take the Positive Deviance approach and talk more about a company that defies the odds. Very few companies I've seen the inside of in my 22 years of consulting truly invest in their culture intentionally and consistently. However, there are a few. The best I've seen personally is Northeast Delta Dental. NEDD is a nonprofit which was chosen as the best company to work in NH for 5 years running. When I presented trainings there in 2009 I heard a number of staff casually mention how much they love working at NEDD. The stories of being valued, of being cared about, of taking pride in their work and their company were staggering. As I was given a tour around their two buildings I saw that even the layout of the buildings was designed to create a wonderful culture. The president has a rather small office in the MIDDLE of the building with no windows to the outside. Surrounding his office is a warm and light-filled series of cubicles with views out the windows that line the walls. These are filled front-line, customer touching people. From everything I've heard about him he is a true “Level 5 Leader” as Jim Collins describes in “Good to Great”. Their financial results are consistently above others. We at the Matchbox Group are so excited by this company that I plan to do a blog series on their company this fall. We want to learn more about what they've done so that I can enrich our other clients lives with their practices… and share it with the world. Matchbox Group ignite. involve. inspire. I'm fortunate you've given a case any leader can relate to. Clearly, or so it seems, investing in culture can deliver organization performance that does yield financial results. A positive culture is not a fairy tale. I do write about the deviants, the deviants who believe leadership is a title.